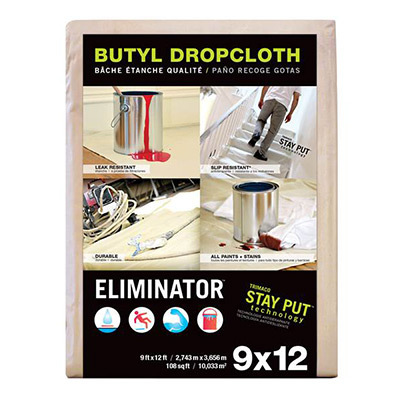 225% more slip resistant and 20% more drapable than 10oz canvas, the Eliminator drop cloth gives you leak proof protection that stays put where you place it. 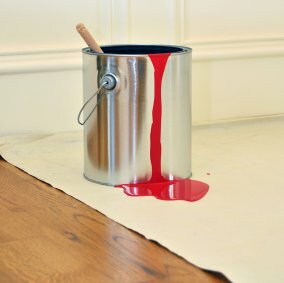 Make sure to use the coated side down to keep stain and paint from hitting the surface you’re protecting. Professional grade, crack-resistant butyl works well in hot or cold temperatures, never sticking or cracking. Reduce messy clean ups by protecting your job site with the Eliminator. You’ll use this heavy weight drop cloth time and time again.